This new volume contains four previously unpublished lectures that Feynman gave to students preparing for exams. 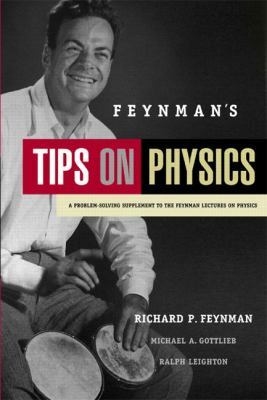 With characteristic flair, insight and humor, Feynman discusses topics students struggle with and offers valuable tips on solving physics problems. An illuminating memoir by Matthew Sands who originally conceived The Feynman Lectures on Physics gives a fascinating insight into the history of Feynmans lecture series and the books that followed. This book is rounded off by relevant exercises and answers by R. B. Leighton and R. E. Vogt, originally developed to accompany the Lectures on Physics.Feynman, Richard Phillips is the author of 'Feynman's Tips on Physics A Problem-Solving Supplement to The Feynman Lectures on Physics', published 2005 under ISBN 9780805390636 and ISBN 0805390634.